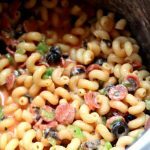 Instant Pot Pizza Macaroni and Cheese–The best two kid foods mashed together into one…Pizza Mac and Cheese! 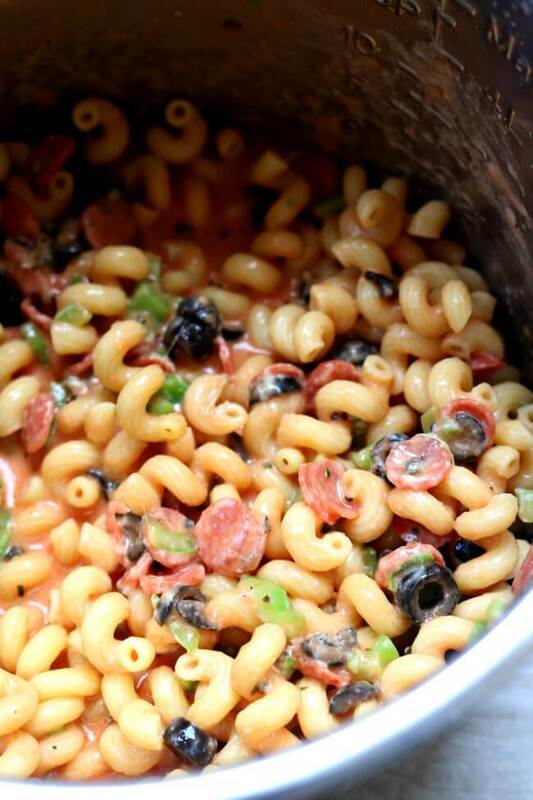 The best two kid foods mashed together into one–Pizza Mac and Cheese! Turn the pressure cooker to the sauté function. Stir in the evaporated milk and tomato sauce and slowly add in the cheese while stirring constantly. In time, the sauce will thicken up and the macaroni will become coated with a creamy, cheesy sauce. Stir in the green pepper, olives and pepperonis. Turn off the pressure cooker. Scoop macaroni into bowls and serve.